Ascorbic acid is a naturally occurring organic compound with antioxidant properties. It is a white solid, but impure samples can appear yellowish. It dissolves well in water to give mildly acidic solutions. Ascorbic acid is one form ("vitamer") of vitamin C. It was originally called L-hexuronic acid, but, when it was found to have vitamin C activity in animals ("vitamin C" being defined as a vitamin activity, not then a specific substance), the suggestion was made to rename L-hexuronic acid. The new name for L-hexuronic acid is derived from a- (meaning "no") and scorbutus (scurvy), the disease caused by a deficiency of vitamin C. Because it is derived from glucose, many animals are able to produce it, but humans require it as part of their nutrition. Other vertebrates lacking the ability to produce ascorbic acid include other primates, guinea pigs, teleost fishes, bats, and some birds, all of which requiring it as a dietary micronutrient (that is, in vitamin form). Ascorbic acid is classed as a reductone. The ascorbate anion is stabilized by electron delocalization, as shown above in terms of resonance between twocanonical forms. For this reason, ascorbic acid is much more acidic than would be expected if the compound contained only isolated hydroxyl groups. The oxidized forms of ascorbate are relatively unreactive and do not cause cellular damage. Ascorbic acid and its sodium, potassium, and calcium salts are commonly used as antioxidant food additives. These compounds are water-soluble and, thus, cannot protect fats from oxidation: For this purpose, the fat-soluble esters of ascorbic acid with long-chain fatty acids (ascorbyl palmitate or ascorbyl stearate) can be used as food antioxidants. Eighty percent of the world's supply of ascorbic acid is produced in China. 5.E304 fatty acid esters of ascorbic acid (i) ascorbyl palmitate (ii) ascorbyl stearate.It creates volatile compounds when mixed with glucose and amino acids in 90°C.It is a cofactor in tyrosine oxidation. 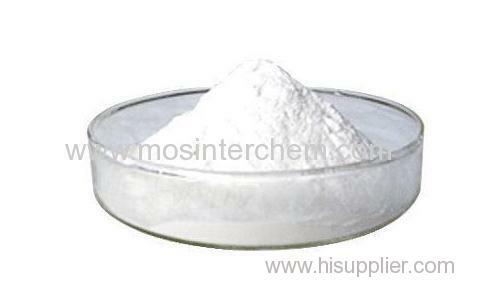 Ascorbic acid is prepared in industry from glucose in a method based on the historical Reichstein process. In the first of a five-step process, glucose is catalytically hydrogenated tosorbitol, which is then oxidized by the microorganism Acetobacter suboxydans to sorbose. Only one of the six hydroxy groups is oxidized by this enzymatic reaction. From this point, two routes are available. Treatment of the product with acetone in the presence of an acid catalyst converts four of the remaining hydroxyl groups to acetals. The unprotected hydroxyl group is oxidized to the carboxylic acid by reaction with the catalytic oxidant TEMPO (regenerated by sodium hypochlorite — bleaching solution). (Historically, industrial preparation via the Reichstein process used potassium permanganate.) Acid-catalyzed hydrolysis of this product performs the dual function of removing the two acetal groups and ring-closing lactonization. This step yields ascorbic acid. Each of the five steps has a yield larger than 90%. A more biotechnological process, first developed in China in the 1960s but further developed in the 1990s, bypasses the use of acetone-protecting groups. A second genetically-modified microbe species (such as mutant Erwinia, among others) oxidises sorbose into 2-ketogluconic acid (2-KGA), which can then undergo ring-closing lactonization via dehydration. This method is used in the predominant process used by the ascorbic acid industry in China, which supplies 80% of world's ascorbic acid. American and Chinese researchers are competing to engineer a mutant that can carry out a one-pot fermentation directly from glucose to 2-KGA, bypassing both the need for a second fermentation and the need to reduce glucose to sorbitol.